Can you believe that tomorrow is Christmas?! I can't... it's going to be an exciting day. I am personally excited to give my kids their gifts. That's always the best part for me. And I'm curious about what I'll be getting too. I still have no idea! Nibblet already received her Christmas gift not long ago, which I hope to talk about more in another post. It's a new rat cage, or as some have called it - a mansion. Not a creature was stirring, not even a... rat! Shiner will be allowed to demolish and shred a stuffy or two tomorrow also. It's one of her favorite things to do. Speaking of Shiner, I wanted to share her letter to Santa Paws with you all. We are regular contributors to the Enchanted Mountain Retreats blog and Shiner decided it was her turn to write something. So she shared her letter to Santa Paws over there. It's pretty funny, so stop by and check it out. 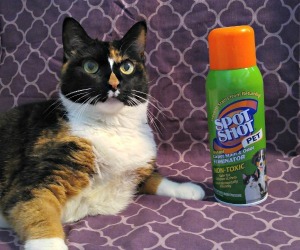 Shiner was also featured on Speedy's Christmas Countdown. Speedy is a bunny with some pretty cool magical powers. He added some sparkle to one of Shiner's holiday photos and I just love it! Thanks Speedy! 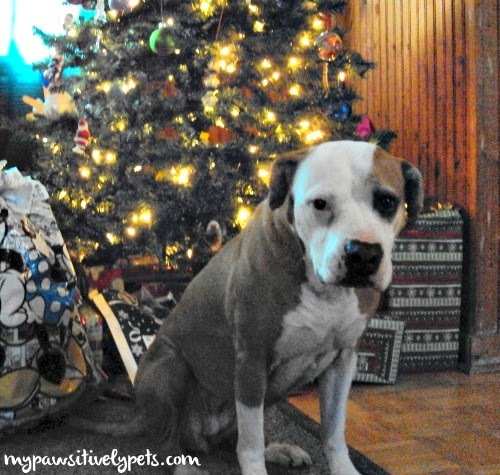 Visit Speedy's blog to see more festive holiday pet photos that sparkle. 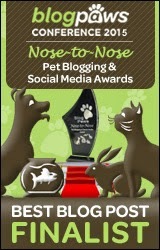 Another cool thing I wanted to talk about is how Pawsitively Pets was included on the "Top 10 Must-Read Pet Blogs of 2014" list! 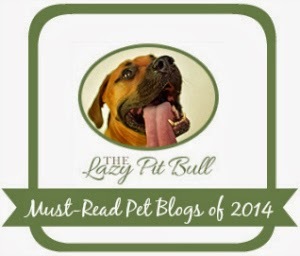 The list was published by The Lazy Pit Bull and I am so honored, excited, and flattered to be included on it! If you haven't seen the full list yet, click here to read it. There are some amazing blogs on it. So with that, I hope that you all have a very Merry Christmas if you celebrate! And if not, may you have a wonderful day and Season's Greetings to you! Good stuff. Love the twinkle tree. :) Congrats on being listed as a must read blog. Thanks guys! Merry Christmas to you as well! No surprises that you're on the "must read" blog listing....we enjoy your blog a lot. We also hope that you and your family have a fabulous and magical Christmas! Thank you Sammy and Pam! I just wish that I had more cat stuff to share with my cat friends. I'm sure there is a cat friend in my future :) Meowy Christmas! Yay, congrats on the must read blog! Of course you are! That is so exciting. My daughter is fascinated with Nibblet and wants to know if he lives alone, does he have friends, is he sweet, etc etc! Have a wonderful holiday! Aw how sweet! 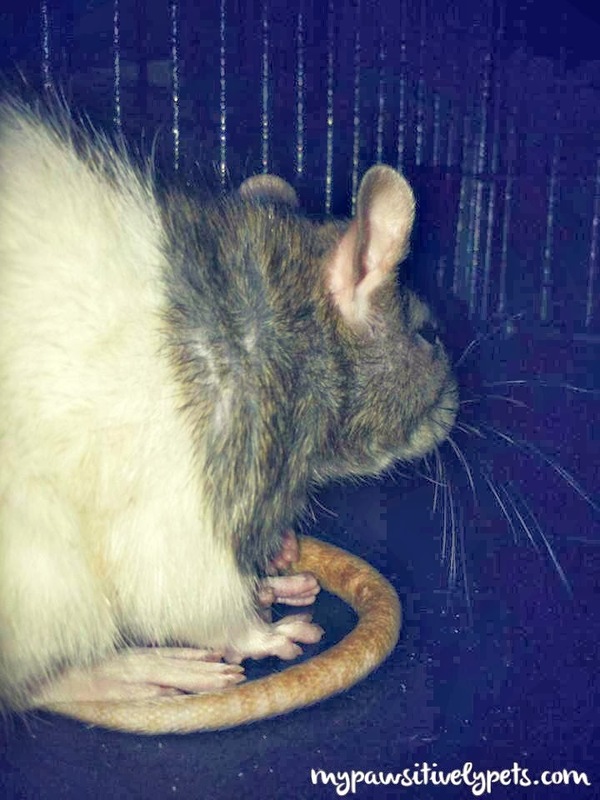 Nibblet does live alone, but most people agree that rats should live with friends. They are very social. We might adopt a friend for her soon after the holidays are over with. She is a very sweet rat and my daughter and her love each other. They like to cuddle and Nibblet likes to give kisses. Merry Christmas to you and yours Ann! A place in the top ten you deserve. Wishing you and the family Ann a happy holiday, a merry Christmas. We hope the day brings you joy. Have fun and lots of treats. Looking forward to seeing Niblet's gift. Congrats in being on the most read blog list! I'll check out Shiner's Christmas list. Merry Christmas to you all, dear friends. Sending you much love, and wishes for a holiday season filled with peace and joy. 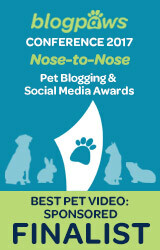 oh concatulations on the award fro the Lazy Pit Bulls!!! Wishing you a fun-filled holiday, friends! Must read blog? Way to go!!! Merry Christmas! brought back memories of my pet rats whose favourite place to play was an old pair of sheepskin boots!! Since we were one of the very first to share your posts on our Facebook fan page back when you first began, we are extra happy about your success! Hoping you had a wonderful Christmas!